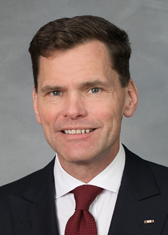 “Don’t come back,” a North Carolina legislator told President Donald Trump after his widely-criticized summit with Russian President Vladimir Putin Monday. Rep. Grier Martin, a Raleigh Democrat and Afghanistan veteran in the U.S. Army Reserve, hammered the president in a much-shared Tweet Tuesday. The tweet prompted a reaction from those on both the right and the left. As of noon Tuesday, the viral post had more than 1,800 retweets and 4,500 likes. “I guess it struck a nerve and resonated with folks,” Martin said. He explained that he is not currently on active duty and is therefore not precluded by the Uniform Code from making disparaging comments about the Commander in Chief. “This tweet was not at all in my capacity as a member of the U.S. Army,” he said. He also noted that the vast majority of replies to his tweet expressed agreement, and many also urged Martin to take legislative action. As a state lawmaker, not a member of Congress, there’s little action he can take. Reached for comment on the tweet, North Carolina Republican Party Executive Director Dallas Woodhouse was uncharacteristically low-key. On Twitter, the disagreements, though few, were more vehement. Previous PostResidents living near Chemours Fayetteville Works plant invited to participate in state GenX health studyNext Post Four-member county boards of elections change leadership today, but why?